Participation in the knifeREWARDS program requires that you have a KnifeCenter.com account. If you do not have an account, KnifeCenter.com cannot track your purchases and award points accordingly. Setting up a KnifeCenter.com account is free and only requires a valid email address. Purchases are tracked using the email address associated with your KnifeCenter.com account. It is your responsibility to let us know if/when the email address associated with your KnifeCenter.com account has changed. Earn 10 points for every $1 spent on the purchase of any product, according to the actual price paid for the product at the time of purchase. Points are not earned immediately upon purchase but will be credited to your account (and available for redemption) once you have been charged for your order, and all items in your order have shipped. Generally, this occurs no later than 72 hours from time of purchase for in-stock items. 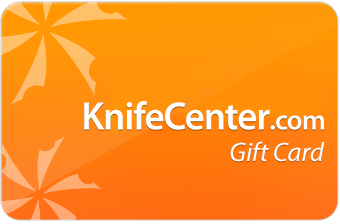 Points can only be redeemed for Gift Cards which can be used towards future purchases on KnifeCenter.com. 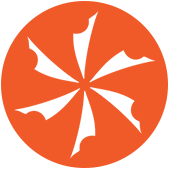 Points redeemed for Gift Cards are immediately deducted from your knifeREWARDS account. Points can only be redeemed for Gift Cards according to this formula: $10 Gift Card for 4,000 points, $20 Gift Card for 7,000 points, $50 Gift Card for 10,000 points. Benefit levels or Gift Card redemption eligibility is based solely on your Current Point Balance. The Current Point Balance is the difference between the sum total of Points Earned and the sum total of Points Redeemed. Points for items which have not yet shipped are treated as Points Pending and do not count towards Points Earned or your Current Point Balance until the items with which they are associated have shipped. Points earned for returned items will be deducted from your Points Earned tally, which in turn will bring down your Current Point Balance. a. If the card has been used, even in part, KnifeCenter.com will charge you for the full value of the card. b. If the card has not been used, KnifeCenter.com will void the card, and you will not be charged for it. KnifeCenter.com may, for promotional purposes, offer more than 10 points per $1 for the purchase of certain products, e.g. by offering "double points" (20 points per $1) for the purchase of certain items. KnifeCenter.com reserves the right to change program rewards and guidelines at any time without notice during the program year. Certain additional important restrictions may apply. Log in to your KnifeCenter account to see your points. Create one here. It's free! When you have enough points to redeem for gift cards, we'll tell you.